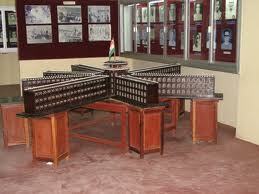 The Cellular Jail was a prison built by Britain in the Andaman Islands to banish the freedom fighters. Now it stands as a National memorial monument. The names of hundreds of freedom fighters are craved on the watch tower. It is also called as Kala Paani (Black Water). Many of the Indian freedom fighters including Batukeshwar Dutt and Veer Savarkar were imprisoned here at the time of struggle for Independence of India. The prison complex was build in between 1896 and 1906. Immediately after the War of Independence in 1857, the British started using the Andaman Islands as a prison. After the war was concealed, the British executed many of the rebels. 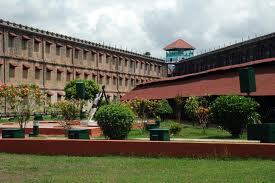 Those who escaped from execution were sentenced to life imprisonment in the Cellular Jail. 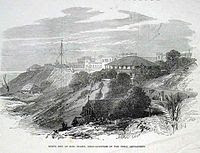 About 200 rebels were sent to the jail under the custody of Jailer David Barry and Major James Pattison Walker, a military doctor, the warden of the prison at Agra. About 733 rebels from Karachi arrived here in April, 1868. By the late 19th Century, the independence movement gained momentum. The number of prisoners increased and a high security prison becomes a real requirement. In March 1868, 238 prisoners tried to escape from the jail. All of them were caught by the end of April. One of them committed suicide and 87 of them were ordered to be hanged. The prisoners’ starts hunger strike during early 1930s and it made attention to their imprisonment to outside the jail. Mahatma Gandhi and Rabindranath Tagore intervened in this situation. 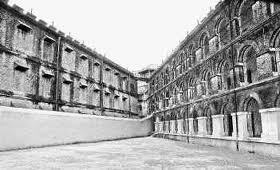 Thus the Government made a decision to send home the political prisoners from the Cellular Jail in 1937-38. The Empire of Japan invaded the islands in 1942 throw out British from the Islands. 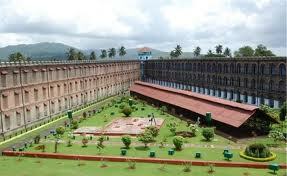 Then Britain becomes the prisoners in the Cellular Jail. A museum is created in the Cellular Jail which contains life size models that shows the life of a prisoner of Cellular Jail. 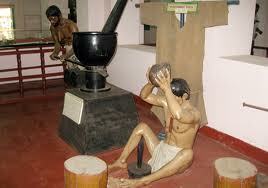 Very brutal punishments were given to the prisoners in the jail. Some of those are shown in this museum as statues in the museum.